The Discussion tool provides an area(s) for asynchronous communication that can be used to create peer interaction and conversations. Forums , i.e. categories are created as a way of organizing the Topics, which are essentially the question prompts in Folio. Students can post and reply to messages in the Discussion Topics. 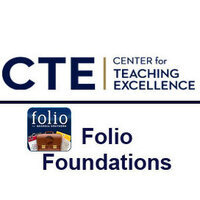 Goals: To show faculty how to set up and use the Folio Discussion tool. Create Discussion Forums and Topics. Review the "Discussions Instructions" (optional). Attach files to Discussion messages.